17: Then we which are alive and remain shall be caught up together with them in the clouds, to meet the Lord in the air: and so shall we ever be with the Lord. There are 3 main views of when the rapture is going to take place (though there are many others which are not as prominent). One is at the beginning of the tribulation, another is at the middle of the tribulation, and the third is at the end of the tribulation. I would dare say, because of the popular Left Behind series, more christians believe in the pre-trib rapture (before the tribulation). Many who don't believe in the pre-trib rapture, think that the pre-trib rapture is a new idea, started in the 1800's. However this is not true. The Reverend Morgan Edwards was a Baptist pastor in Philadelphia who described a Pre-Trib return of Christ for His church in his 1788 book "Millennium, Last days Novelties". Although he saw only a 3 1/2 year Tribulation, he DEFINITELY saw the rapture occur before the Tribulation. What is even more interesting is that he claimed he had preached and written the same thing as early as 1742.
which overwhelms the world because of our sins." Why Do Some Teach that the Church will Endure the Tribulation? While I maintain that the pre-trib is not a new teaching, it did lack significant following through the centuries. I also stand on the belief that the church went through the dark ages and many truths were lost. Including that we are saved by grace and not by works, rediscovered by Martin Luther. Are we going to say Luther invented this teaching? No we are not. But for many years even centuries, the doctrine of salvation by grace may have been almost lost. But are we to even conclude that a doctrine isn't true because the church did not lay ahold of a doctrine until modern times? For a long time the people did not know salvation is by grace, and were taught it was by works. While scripture speaks on this matter, it isn’t as obvious as satan’s defeat. Or how about the number of New Testament baptisms? That’s even less obvious. Many truths were lost in the dark ages. and we are still digging more out of the Bible. Just because we don’t know about something, or our church doesn’t recognize it doesn’t mean its not true. That is determined by scripture itself. As long as we have the 5 fold ministry (apostles, prophets, evangelists, pastors, and teachers) we have not come into full maturity. Which brings us to a horrible defense against certain teachings. Many people oppose teaching because the church fathers were silent on a subject. That is absolutely ludicrous! No where does scripture tell us the church ever reached full knowledge. Does not the above scripture tell us we are still learning? Does not Paul tell us elsewhere we see darkly? Does he not state that there is only 1 thing he knew for certain? The church lives by faith. Not certainty of doctrines all laid out centuries ago. That faith comes from the word of God, not writings of church fathers. Or church tenets. Lets now take a look at what the Bible says about the timing of the rapture. This verse shows it will happen before the hour of temptation (the tribulation). Then goes on to describe this temptation. The word "from" in Rev 3:10 (Greek,ek) literally means "out of". Here are some other examples of OUT OF in the Bible. 53: And came OUT OF the graves after his resurrection, and went into the holy city, and appeared unto many. The confusion is that many people put the rapture and the 2nd coming of Christ as 1 event. These are 2 separate events. When the rapture takes place, we will meet Christ in the air. At the 2nd coming we will come with Christ on horses to the earth. In the next 2 scriptures you can see the blessed hope of the rapture and the 2nd coming as two distinct events. Do we know that the tribulation is the Wrath? I wish to point out that some would say we are fleeing spiritual warfare. The Tribulation is spiritual warfare between God and the wicked. We do not have a fight with God, if we are His people. Gal:6:7: Be not deceived; God is not mocked: for whatsoever a man soweth, that shall he also reap. God wants mankind to reap a 100 fold return on their sowing wickedness. By removing the preserving salt, He can acomplish this task. I also would like to say, that although I am making this teaching available, and hence making this a doctrine, I believe it is possible that there may be 2 or 3 raptures. Perhaps one in the middle of the Tribulation as well. These things are very hard to see. The Bible say's we see darkly, that's why there is so much controversy over the rapture. No man knoweth the Day or Hour? Ok, I have shown that Pre-Trib rapture is NOT new. I have shown that it is Biblical. A major question some may ask is: Who gets raptured and who gets left behind? It may very well be that only half of the church will get raptured. Are you going to be one of them? Click on the following link for details. I have found even more scriptural evidence that there will be 2 major comings for the church. 2 The kingdom of Heaven is like a certain king who made a marriage for his son. 3 And he sent out his servants to call those who were invited to the wedding; and they would not come. 5 But not caring, they went their ways, one to his field, another to his trading. 6 And the rest took his servants and treated them spitefully, and killed them. 7 But when the king heard, he was angry. And he sent out his armies and destroyed those murderers, and burned up their city. 8 Then he said to his servants, The wedding is ready, but they who were invited were not worthy. 9 Therefore go into the exits of the highways, and as many as you shall find, invite them to the marriage. 10 So the servants went out into the highways and gathered together as many as they found, both bad and good. And the wedding was filled with reclining guests. 11 And the king coming in to look over the guests, he saw a man there who did not have on a wedding garment. 12 And he said to him, Friend, how did you come in here without having a wedding garment? And he was speechless. 13 Then the king said to the servants, Bind him hand and foot and take him away, and cast him into outer darkness. There shall be weeping and gnashing of teeth. verse 2: ...a certain king who made a marriage for his son. 21 Therefore put away all filthiness and all that remains of wickedness, and receive with meekness the engrafted word, which is able to save your souls. 35 "Let your waist be girded and your lamps burning; 36 and you yourselves be like men who wait for their master, when he will return from the wedding, that when he comes and knocks they may open to him immediately. 37 Blessed are those servants whom the master, when he comes, will find watching. Assuredly, I say to you that he will gird himself and have them sit down to eat, and will come and serve them. 38 And if he should come in the second watch, or come in the third watch, and find them so, blessed are those servants. 39 But know this, that if the master of the house had known what hour the thief would come, he would have watched and not allowed his house to be broken into. 40 Therefore you also be ready, for the Son of Man is coming at an hour you do not expect." Here we see the Lord returning from a wedding (verse 36), then the Lord, Himself, will be knocking on the door and they will open for Him. 20 Behold, I stand at the door and knock. If anyone hears My voice and opens the door, I will come in to him and will dine with him and he with Me. 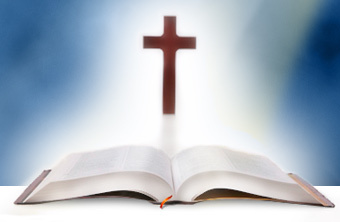 Jesus is describing Himself to this church as the faithful and true witness, because they were not faithful and true. 15 I know your works, that you are neither cold nor hot. I would that you were cold or hot. 16 So because you are lukewarm, and neither cold nor hot, I will vomit you out of My mouth. 18 I counsel you to buy from Me gold purified by fire, so that you may be rich; and white clothing, so that you may be clothed, and so that the shame of your nakedness does not appear. And anoint your eyes with eye salve, so that you may see. Here Jesus speaks about gold purified in fire. Jesus will allow this church an opportunity to be salted with fire through the Tribulation. If the are not salted, and found holy, they will be salted by Jesus, Himself. See the Eternal Judgment link above. 19 As many as I love, I rebuke and chasten; therefore be zealous and repent. 21 To him who overcomes I will grant to sit with Me in My throne, even as I also overcame and have sat down with My Father in His throne. Let's go back to Luke 12. In verse 36 Jesus say's they will open the door for Him. He has returned from the wedding feast. In verse 37 we see He will serve them and they will eat, very similar to Rev 3:20 also. These christians will have succeeded to be holy by the persecution from the anti-christ. Jesus will now reward them and serve them. They may have missed the wedding feast, but Jesus will feed them Himself. A great honor. These believers will have become even greater than the church that was raptured. 10 But when the first came, they supposed that they would received more; and they also each one received a denarius. I suggest reading the whole parable. It is excellent. In the parable we see the idlers (those left behind), but in the end, these only worked the last "shift" and received the same wage as those "who have borne the burden and heat of the day". The hardship these last day christians will go through will be extreme. They will repent and become an even greater witness. The Bible says that the ministers given in Eph 4, will be until the church becomes united. The church is not united, we are divided. But the church left behind will become united even as the church was in Acts. Math 24:51 And He shall cut him apart and appoint him his portion with the hypocrites. There shall be weeping and gnashing of teeth. Jesus tells us in Rev 2:22 that some of the church will be thrown into the Tribulation with the world. We see that Math 22:1-13 shows us the wedding feast is in heaven. Luke 12:35-40 shows us that Jesus will return for the church left behind, after the wedding. Math 20:1-16 tells us those christians who persevere through the tribulation will receive equal reward, but will in some manner be given a 1st status. I am uncertain what that is, but it may be the status of ruling the earth with Christ during the millennium. The rest of the overcoming church may not rule until after New Jerusalem comes to the new earth. Or it may simply mean they are given the other rewards 1st, or are given higher places in the Kingdom government. Two different pictures are painted. In the Old Testament, there were two different pictures painted of the Messiah-one suffering (Isaiah 53:2-10, Ps. 22:6-8, 11-18) and one reigning as King (Psalms 2:6-12, Zechariah 14:9,16). As we look back on these scriptures, we see they predicted two separate comings of the Messiah-the 1st coming as a suffering Messiah and the 2nd coming (still future) as a reigning King. In the New Testament, we have another picture added. Again, we have two pictures painted which don’t look the same. These two different descriptions of Jesus’ coming point to two separate events we call "the rapture" and "the second coming." We also see 2 raptures from the beginning of history. Noah rising above the tribulation waters, as one, and Enoch being translated is another. Since history is moving backward. The 1st rapture is represented by Noah, in which God, Himself, closes the door (to heaven). The 2nd rapture being closer to the creation, thus resembling closer to the end of the ages, was Enoch. This may also symbolize the fact may christians will have been martyred, just as there was much violence in those days. Concerning the return of Jesus, the Bible presents a day we can't know and a day we can know. Matthew 25:13 says Jesus will return at an unknown time, while Revelation 12:6 says the Jews will have to wait 1,260 days for the Lord to return. The 1,260 days begins when the Antichrist stands in the Temple and declares himself to be God (Matt. 24:15-21, 2 Thess. 2:4) This event will take place at the mid-point of the seven year Tribulation (Dan 9:27). The Antichrist has authority to rule for 42 months, which is 1,260 days (Rev. 13:4) and will be destroyed by Jesus at His second coming (Rev. 19:20, 2 Thess. 2:8). The known and unknown days must happen at different times, meaning they are two separate events. The armies in heaven, clothed in fine linen, follow Jesus out of heaven at His second coming (Rev. 19:14, Zech. 14:5, Col. 3:4). These are not angels because Rev. 19:8 tells us the fine linen is the righteousness of the saints. In order to come out of heaven we first have to go in, indicating a previous rapture. Abraham's bosom or paradise was emptied when Jesus resurrected. All the Old Testament saints went to heaven with Him. Acts 1:9: And when he had spoken these things, while they beheld, he was taken up; and a cloud received him out of their sight. Acts 1:11: Which also said, Ye men of Galilee, why stand ye gazing up into heaven? this same Jesus, which is taken up from you into heaven, shall so come in like manner as ye have seen him go into heaven. Both wicked and righteous both can't be taken first. First Thessalonians 4:13-17 says the righteous are taken and the wicked are left behind. Matthew 13:30, 49 says the wicked are taken first and righteous are left behind. This points to two separate events, the rapture and the second coming. Jesus will receive us to Himself, not us to receive Him (John 14:2-3). Jesus said He would prepare a place for the Church in heaven, then He would come again to receive us to Himself. Why would Jesus prepare a place for us in heaven and then not take us there? At the rapture, He will come to receive us to Himself, "that where I am (heaven), there you may be also." If the rapture occurred at the same time as the second coming, we would go up to the clouds and then immediately come back to earth. That would contradict John 14:2-3. If the rapture occurred at the second coming, why would the sheep and the goats need to be separated immediately after the second coming? A rapture at the second coming would have already separated the sheep and the goats. With a Pre-Tribulation rapture, the people saved after the rapture will need to be separated after the second coming. 2. According to 1 Cor 15:15, the rapture is something that occurs in the twinkling of an eye. Joel 2:1 says the Day of the Lord is nigh at hand. In order for Joel's trumpet to be the same one in 1 Cor. there would have to be a time delay between the sounding of the trumpet and the rapture of the Church. The "Day of the Lord" Joel describes, includes the defeat of the northern army. Ezek. 38 and 39 is parallel passage. Most scholars would time the destruction of the Gog army as occurring before in the first half of the tribulation. 10: But the day of the Lord will come as a thief in the night; in the which the heavens shall pass away with a great noise, and the elements shall melt with fervent heat, the earth also and the works that are therein shall be burned up. ..they will say such a verse cannot be broken up into separate events or long periods of time. Here are 2 such examples of scriptures being broken up into extended periods of time. 11: ... for the day of the LORD is great and very terrible; and who can abide it? 29: And also upon the servants and upon the handmaids ... will I pour out my spirit. 30: And I will shew wonders in the heavens and in the earth, blood, and fire, and pillars of smoke. 31: The sun shall be turned into darkness, and the moon into blood, before the great and the terrible day of the LORD come. Acts chapter 2 fulfilled part of THAT day, it was not ALL fulfilled. So here we have 1 verse, which was partially fulfilled 2000 years ago, but the rest has yet to be fulfilled. Jesus, Himself, stopped half way through the verse and declared it was so. Let's also remember the Bible was not written in chapters and verses. We added verses and chapters for easier study. 1 Now, brethren, concerning the coming of our Lord Jesus Christ and our gathering together to Him, we ask you, 2 not to be soon shaken in mind or troubled, either by spirit or by word or by letter, as if from us, as though the day of Christ had come. 3 Let no one deceive you by any means; for that Day will not come unless the falling away comes first, and the man of sin is revealed, the son of perdition, 4 who opposes and exalts himself above all that is called God or that is worshiped, so that he sits as God in the temple of God, showing himself that he is God. 6 And now you know what is restraining, that he may be revealed in his own time. 7 For the mystery of lawlessness is already at work; only He who now restrains will do so until He is taken out of the way. 8 And then the lawless one will be revealed, whom the Lord will consume with the breath of His mouth and destroy with the brightness of His coming. Salt preserves. The church is the salt of the earth. Once the salt is removed, evil will have free coarse. And yes, the Glorious Appearing takes place after the anti-christ is revealed. But the 1st rapture is not the Glorious Appearing. Can People be Saved after the Rapture? There are 2 books I highly recommend to understand the rapture. They are not perfect, but they are tremendously wonderful. What is the Tribulation? How do we know the Tribulation will last seven years? 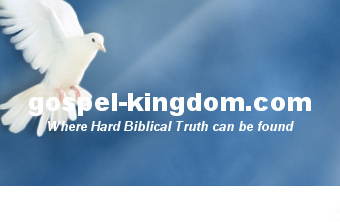 - This is an excellent short but precise study on the length of the Tribulation. I highly recommend this! Is There a Pre-Tribulation Rapture? - This is an article on my Blog, not on my website. It is based on the material found on this very page, but I add even more scriptural evidence of a Pre-Tribulation rapture. So if your looking for lots of scriptural evidence for the pre-tri rapture, this blog post I wrote will be extremely helpful. Who is Babylon, the Anti-Christ, and the False Prophet? - another blog post of mine. I have discussed this subject before, even on this website. But this time I am going to get to the heart of the matter who are they, or who they are not.